After unprecedented heat and drought persisting throughout the Summer of 2016, time again for Korea’s second-most adhered Holiday Season (after Lunar NEW Years). This year the Official Holidays for Korean ThanksGiving falls into three days of September 14 Wednesday, 15 Thursday and 16 Friday but it is bridged to the Weekend of 17 Saturday and 18 Sunday, so we’re looking a real Golden Holiday Weekend 😉 be it work for you, or against depending upon your sort of work and position . Once again, as every-other year when I get the time to Post Closed Dates of larger markets on Traditional Korean Holidays (for computers and electronics : yonder onto our affiliate Korea Tech BLog) dates differ upon building-by-building in both NamDaeMun (South Gate with more varied merchandise) and DongDaeMun (more organized for textile, apparel and toys) . to confuse matters more : some floors differ on larger buildings . thus even though below I have gathered as precise-as-possible dates from various quite-dependable sources : the most surest way is see for yourself, their announcement-on-paper stuck at the entrance of each building . PyeongHwa ShiJang (THE old, famed Peace Market) Close September 15 Thursday ~ 18 Sunday . Tong-il SangGa (ReUnification Market) Close September 14 Wednesday ~ 18 Sunday . DongWha SangGa (DongHwa Market) close 14 Wednesday to 17 Saturday . DooTa : Open ALL ~ along ! Good Morning City : will close September 14 Wednesday and 15 Thursday only . ShinPyeongHwa (NEW Peace) Fashion Town : close September 14 Wednesday and will re-open 19 Monday evening . NamPyeongHwa SangGa (South Peace Market) underground and ground Floors (ground floor is first-floor in Korea and the Orient) close September 13 Tuesday until 19 Monday, while second and third floors close from 14 Wednesday . Art Plaza : Close September 14 Wednesday ~ 18 Sunday . 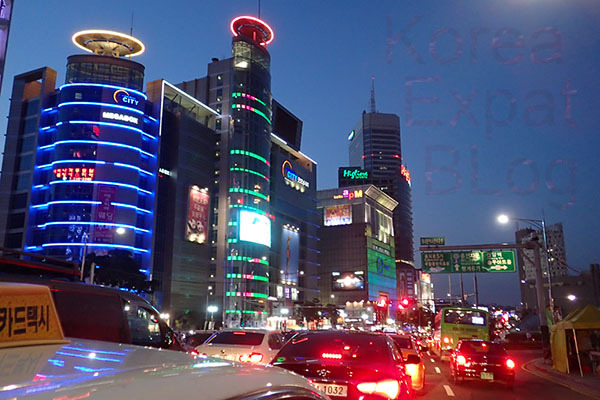 DongDaeMun Techno should close September 13 Tuesday to open again 18 Sunday night ..
ChungPyeongHwa Shijang (Blue Peace Market) will close September 13 Tuesday to re-open 18 Sunday night . Lotte Fit-in : will close ONLY on actual ThanksGiving Day on September 15 Thursday .